﻿Do you need car finance? Self - employed? We have no financials products for you! Do you need someone to negotiate rates for you so you don't have to research? We can do that for you. Keep the dealers honest, fact check your quote against ours, the rate quote is not always the actual rate you will get ! We compare dollar cost and will never mislead our clients about the real rate. We are multi-national award winning brokers - TWO awards from the AMA national awards! We are FORWARD thinking, we have our own iPhone app and use technology to make your life easier. We make it EASY, and aim to save you time, money and worry! We are crazy passionate about what we do, and love love it!!! Do you struggle to find the time to compare interest rates and make sure you’re getting the best deal? 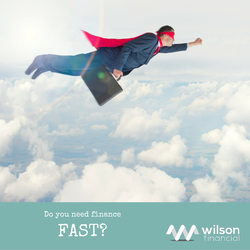 Find it hard to find out and understand the impact of the fees and early repayment penalties? Are you scared/concerned of how you're going to pay for your residual? Are you tired of dealing bad / slow service with the banks and want some good old fashioned good service? Do you want to work with someone saves you time, money? Do you want to work with someone who understands small business and can help with the best structure for you? Baffled by depreciation and how it affect you and your loan? STEP 1 We are here to help you talk about your next loan and how we can help you? Fill in our EASY enquiry form so we can discuss further.